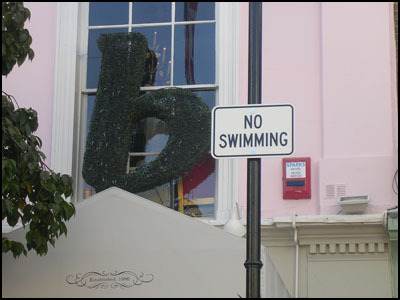 London Daily Picture » No Swimming in the street please ! No Swimming in the street please ! Maybe they thought London would be hit by floods like other parts of Britain were a few months ago. Or perhaps its left over from the carnival. I bet Ham will have the answer!